On the 16th May, 2016 Tamil Nadu went to polls in what was then apparently a multi-cornered contest. 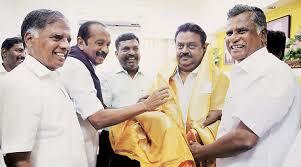 Aside from the AIADMK and DMK led alliances, this time there appeared a third contender in the polls in the form of the PWA-DMDK-TMC(M) alliance[i] led by actor turned politician Vijayakant who was also the then opposition leader in the Tamil Nadu Assembly. All talk and expectations of a three cornered battle started vanishing when the results started trickling in as the AIADMK emerged victorious for the second consecutive time. In all, the AIADMK led alliance secured 134 and the DMK led alliance secured 98 of the 232 seats[ii] that went to polls on the 16th of May, 2016. In sum, the seats of the TN assembly were partitioned between the AIADMK and DMK led fronts with Congress and the Indian Union Muslim league being the only parties with presence in the assembly apart from the DMK and the AIADMK. 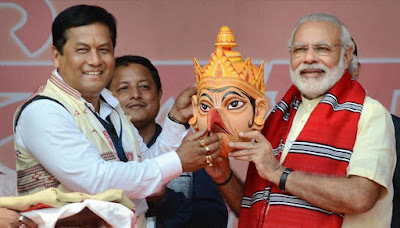 The 2016 Assembly elections in Assam gave a clear mandate to the BJP and allies. And with it the BJP will be forming a government in Assam for the first time. The national party with its regional allies Asom Gana Parishad (AGP) and Bodoland People’s Front (BPF) managed to win 86 out of 126 seats. The poll results have brought forth many interesting factors. While a strong anti-incumbency has made the change almost inevitable, this election also saw some interesting political and ideological shifts. 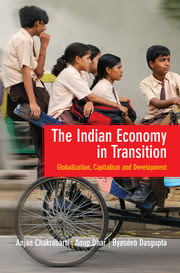 A book review of The Indian Economy in Transition: Globalization, Capitalism and Development, Anjan Chakraborty Anup Dhar Byasdeb Dasgupta, Cambridge University Press, New Delhi pp. 422. Indian economy is at crossroads. The post-reform changes, the history of the present has to be explained by theory. Changes in policy and their impacts are accompanied by something that has not changed. The unchanged is often lost, hidden and buried under the spectacle of capitalist development. The unchanged is the story of exploitation, original accumulation and the intractable 'constitutive outside' of the circuit camp of global capital. This is where the noise remains and perturbs the serenity of capitalist development. The present book is primarily about theorizing the change, defining and problematizing transition and its crisis and the evolving tension between two signposts of contemporary change, 'neoliberal globalisation' and 'inclusive development'. It draws from post-deconstructive Marxism in the tradition of Resnick and Wolff explaining realities from a class focused approach, realities as de-centered and differentiated without any essentialist core and telos. It takes off from Gibson Graham rejecting capital-centrism but goes beyond that in explaining how capital becomes hegemonic within coexisting and overdetermining disaggregated heterogeneous class processes. This is different from the Gramscian notion of hegemony rather the idea evolves from post Lacanian psychoanalyses defining hegemony as 'spectral' and capitalism as 'delusional cosmology'. This delusion is symbolic making the world appear capital-centric. The book is about demystifying this delusion and at the same time unveiling the concrete of the 'other', the dark 'other' that has not been co-opted hitherto by global capital. The agenda as the authors say is to explore 'what contemporary India can mean to Marxist's today as also what sense can contemporary Marxist's make of India today'. I am not a film critique. I have liked films that critics have ridiculed, to my embarrassment- particularly when I watch them on the big screen. Big screen takes away all my critical faculties and mesmerizes me. 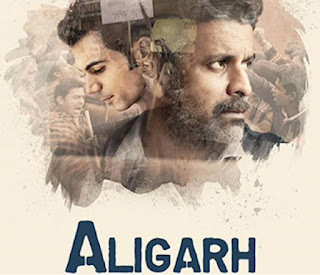 It has to be of the caliber of “RGV Ki Aag” to make me hate a movie I see on big screen. But if a movie touches the inner core of my heart, I feel like penning down my thoughts. ‘Aligarh’is one such movie. Most of my friends had already seen the movie while I was away, but when a very dear friend agreed to join me putting aside all the household responsibilities on a Sunday afternoon, I was elated. I’m not writing down a formal review of the movie but merely scribbling down my interpretations and observations about the film.